T These are some of the equipments in the house that have not been used for several months now. 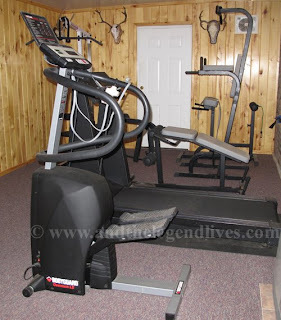 When I was home I was taking aerobics and belly dancing to ward off the 'bad elements', but now that I am back here in the states I am not doing any of it that I think I have to used these again, especially the treadmill, after all, it is a nice treadmill. If you are pro-form, check the site for the best treadmill you can get to walk and burn off excess body fat, or just to get fitter.